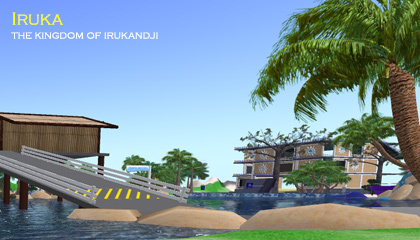 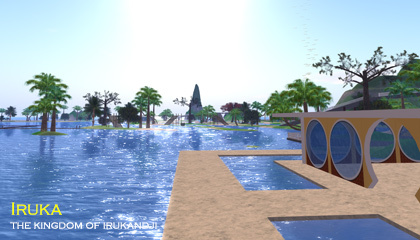 Iruka was a one-million square metre varregion on The Reef virtual world. 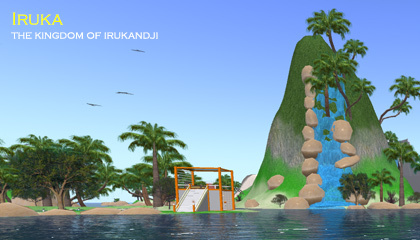 While technically, not part of the Irukandji Continent, it was in essence. 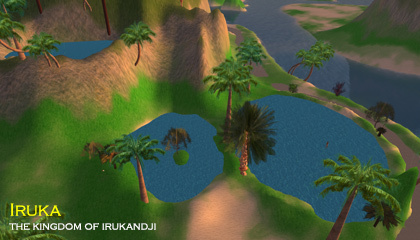 The Iruka story takes over where Kiwi Islands left off, as Leah Hammerer, the previous owner passed away in RL, and I took over the sim so as not to inconvenience landowners. 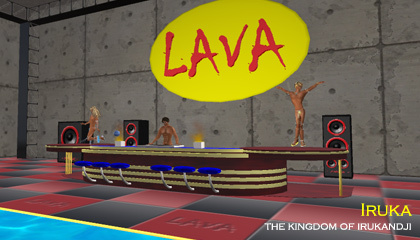 It was however a very emotional time for me as Leah was a close friend. 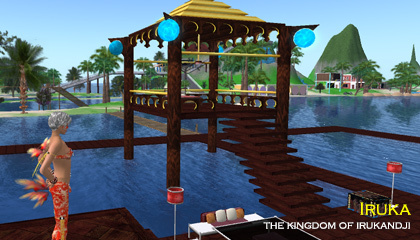 I was able to keep the region going for a few months but finally had to let it go, along with the grid itself. 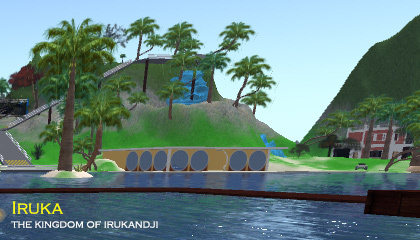 You will find a lot of photographs of Iruka below, but I will let the Kiwi Islands page tell the rest of the story to save replicating it here.